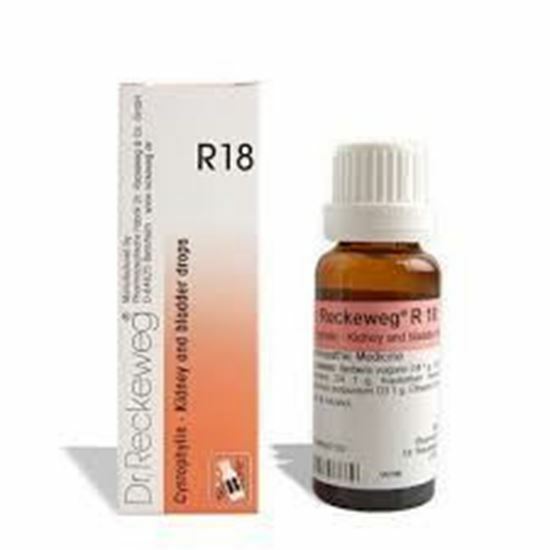 Also known as R 18 Properties FormDrops Weight69 (gms) Dimensions3 (cm) x 3 (cm) x 9 (cm) Indications of Dr. Reckeweg R18 Inflammation of the kidneys, renal calculi, sharp stinging pains in the kidneys, pains in the sacral region. Peritonitis, metritis, piercing pains in the bladder, inflammation of bladder, burning pains when urinating, yellow urine, turbid. 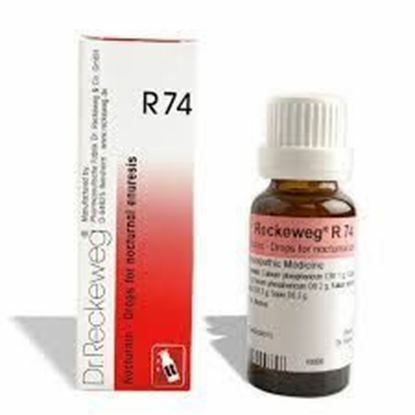 Mode of Action of Main Ingredients in Dr. Reckeweg R18 Berberis: Piercing pains in the renal region getting worse from pressure, pains in sacral region, rigidity and numbness of the back, sensation as if water is running through skin. Cantharis: Dull pains in the renal region, burning pains when urinating, constant urge to urinate. Urine is passed drop by drop, reddish, glairy, tinged with blood. Cystitis. Equisetum hiemale: Similar effects on kidneys and bladder as cantharis, through its content of silicic acid. Lessening of bladder tenesmus and bloody urine. Enuresis, bladder irritations (mainly in women), albumin and blood in urine. 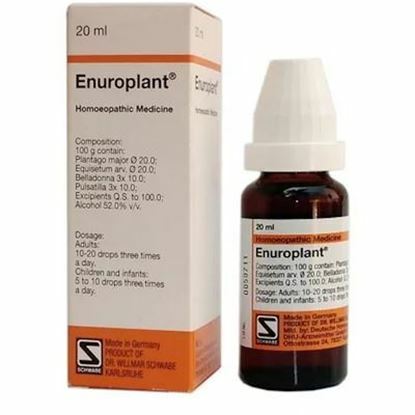 Eliminates uric acid (causing pain when urinating). Eupatorium purpurem: Especially indicated in cases of bladder irritations. Frequent urine urge, painful, with abundance or lack of urine, coloured, glairy. Dulcamara: Irritation of the bladder, constant and painful urge to urinate. When urinating, abundance or lack of urine which is coloured, glairy. Paralyzed bladder, worse in damp weather. Specific effect on the mucosa of the bladder. Smelly urine. Dosage of Dr. Reckeweg R18 In acute cystitis and cysto-pyelitis, 10 drops in some water one hourly to begin with, thereafter two hourly. As soon as improvement sets in administer 10-15 drops in some water 3-4 times a day. In chronic cystitis, cysto-pyelitis and bacteriuria: administer 10-15 drops in some water 2-3 times daily before meals until disappearance of symptoms. In bladder irritation: 10-15 drops in some water once or twice a day. 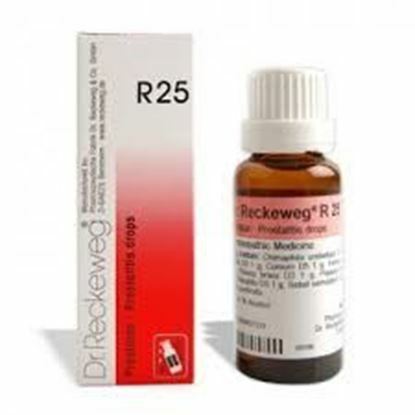 Terms and Conditions We have assumed that you have consulted a physician before purchasing this medicine and are not self medicating. 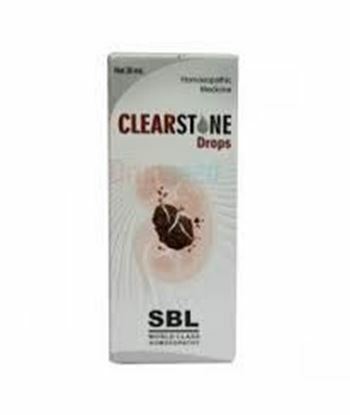 Properties FormDrops Weight90 (gms) Dimensions90 (cm) x 90 (cm) x 90 (cm) About Clearstone Drops Clearstone is a product with a distinct composition of most effective homoeopathic medicines that is specifically designed to eliminate the kidney/ureter stone quickly and to provide relief from renal colic (pain). Indications of clearstone drops Kidney/Ureter Stones (Unilateral/Bilateral). Renal and Ureteric calculi.